What does it mean to provide “Superior Service Through Science and Nature”? With 20 years of local and overseas pest management experience, I offer conventional and "green” or “natural" services on most pests encountered here in the Pikes Peak Region. Modern chemistry and natural botanical materials coupled with habitat modification are a few of the time tested techniques used in order to provide you with the most comprehensive service. All estimates are free and flexible according to materials and scheduling. Call or text me at 719-231-3907. Read what people have said online! I’ll only work with the best materials available and provide a 30 day guarantee for most pest services and full guarantee between services on all maintenance accounts. I never compromise quality for time and give my clients realistic schedules that accommodate their lives. I strive for honest customer service. Through our partnership, we will succeed in our battle against the pests that invade our lives and homes. My name is Charles Osborne and I arrived in Colorado Springs in early 1995 as a soldier at Fort Carson. I did an internship with the USFWS (US Fish & Wildlife Service), studying the wildlife in the Pikes Peak region. After leaving active duty, I worked for 2 different local pest control companies, honing my knowledge and expertise. I was certified by the Colorado Department of Agriculture as a Pesticide Applicator in 2003. 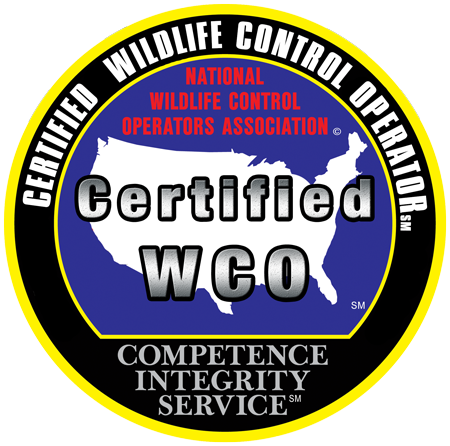 I am a Qualified Supervisor in the Categories of 110 - Public Health, 301 - Wood Destroying Organisms, 302 - Outdoor Vertebrate, & 304 - Residential Commercial Pest Control. I was certified as an ACE (Associate Certified Entomologist) in 2010 at the University of Florida, through the Entomological Society of America. I have deployed multiple times overseas in times of conflict. While there, I developed a program of trapping, identification and treating mosquitoes & sand flies in our area of operations, while not on patrol with the 156th Infantry and the 1st Cavalry Division.